Usually in photography, photographers tend to look for warm golden tones. It is the tonal range the one to evoke pleasant sensations for the eye and what works in photography. We can see many photographs having different themes with amazing sunsets. But what is really happening just right after the sunset? It’s time for the blue hour. A moment that can be perfect for real estate and architecture photography. For the blue hour is dominant the tonal range of blues that make up the sky as its name suggests. If we are lucky enough, when the sun is setting then we can find a sky in contrast with the reddish orange of the sunbeams to be shining over the horizon. The following photographs for this post have been taken in Marbella at that time of the day. A moment with a indeed ‘confusing’ light, as in your eyes even appear as there is no light, so a tripod should be taken always in order to get long exposures. 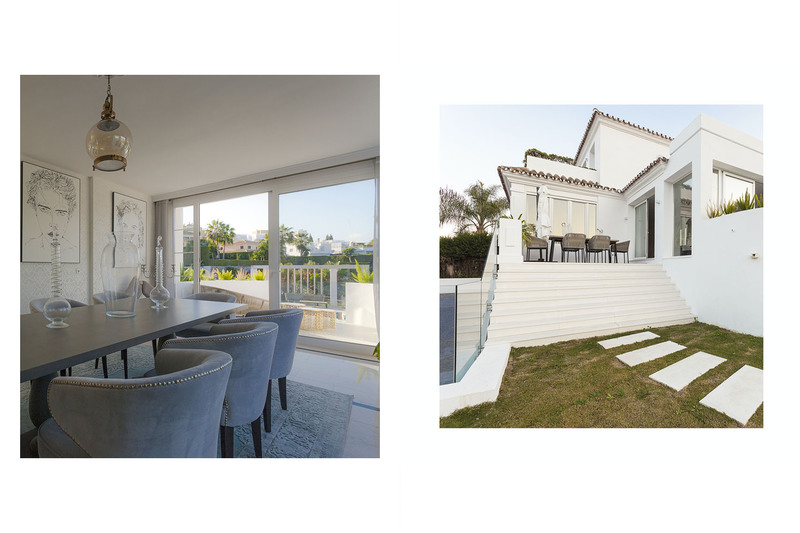 This was the second time I photographed this Villa in Puerto Banús, Marbella, as mentioned on my previous post. To carry out this assignment with the client’s requirements it was me personally who set up the time for the photo session. The intention was to find a “flat light” to “match” the indoors light of the property -both natural and artificial- with the outdoors light. The obtained effect shows us images of great depth of field, with a dominant and soft light that in close connection with a long exposure displays a very blue sky reinforcing the landscape, and the property’s features. 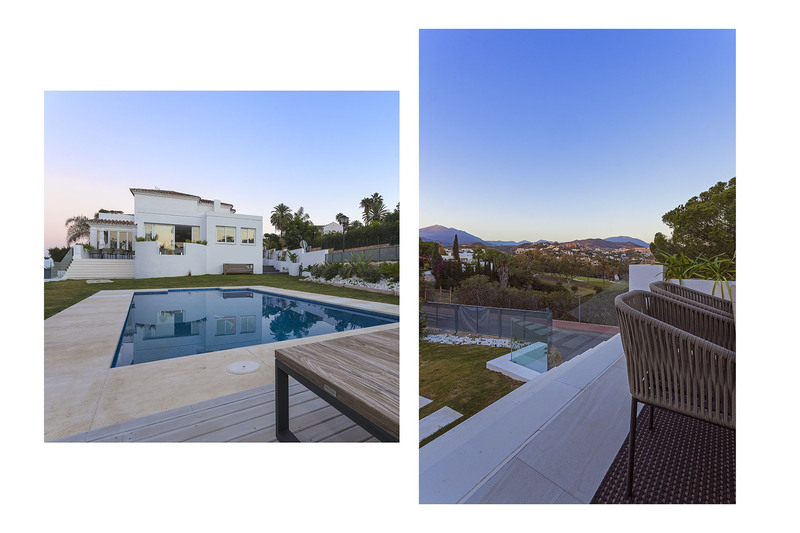 The location was one of the major requirements for the photographic job “Juanjo, I want the house to be very well seen because Concha de Marbella’s views are beautiful”. As I said before, the blue hour is a special time of the day. We are not really used to taking pictures. For this occasion it lasted less than an hour. 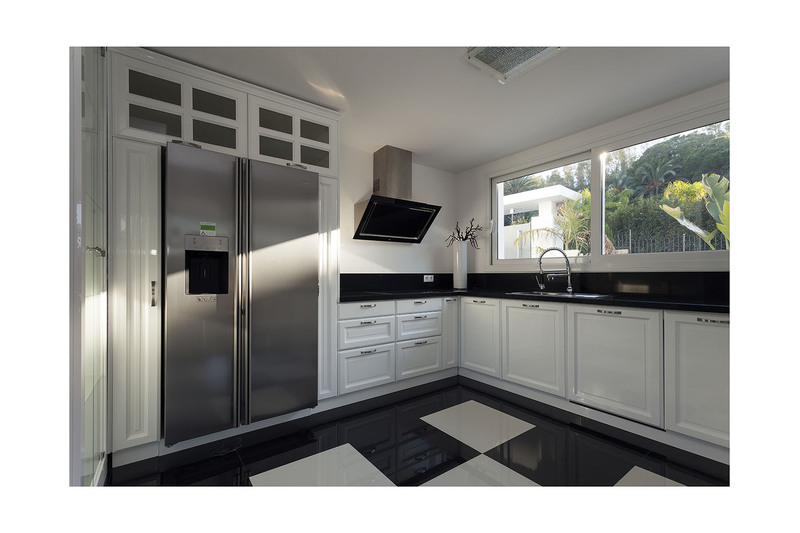 We can get very striking real estate photographs according to different criteria. In my case, these are the ones that I follow. Full frame camera with good lenses: the quality of our camera sensor joined by good optics -my 17-40mm Canon f4.0 in this case- will enhance the effect of this light by getting a huge depth of field with full control over the shadows and illuminations that eventually will be developed with our favourite software. Tripod all the way: if I can no longer conceive real estate photography without my Manfrotto tripod, even more at this time of day. A tripod will give us a long exposure by adjusting the camera to nominal ISO, so the image quality and the long exposure effect will result in “unbeatable” photos. Cross-dominant: for real estate photography, the blue hour is the perfect match to achieve the cross-dominant effect in this case. If we shoot from outside and turn on the lights of the property, then we will get a high chromatic contrast: the outdoors blue dominant is in contrast with the warm yellow / orangie artificial lights of the property. Wishful thinking for these photos, since the Villa had no electricity. 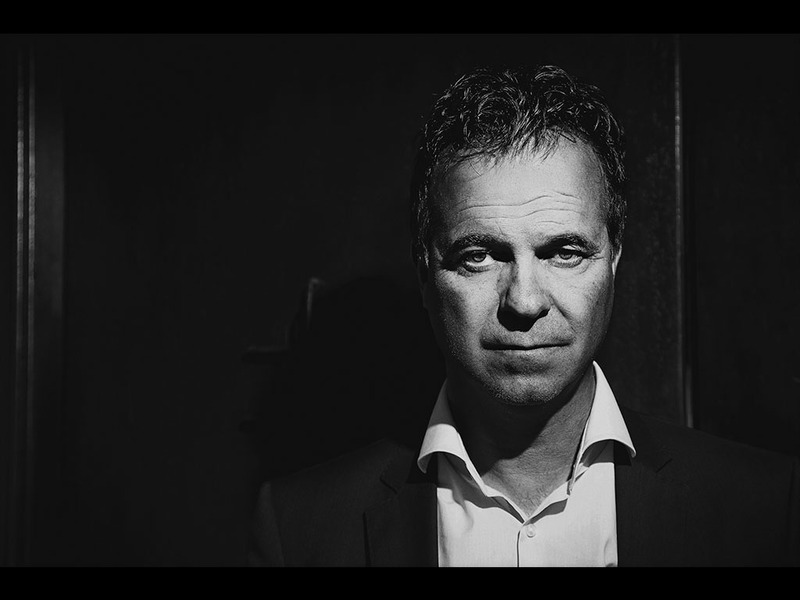 Fill-Flash: we can always add some interesting effect as long we know how to use our flash, taking into account the scene we are facing and calibrating the length parameters, depth of field for the shot and flash power. 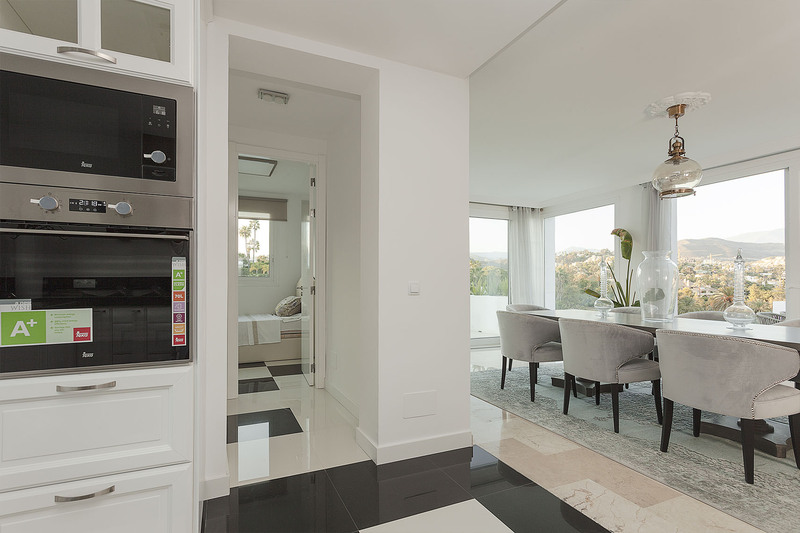 Orientation of the property: it is vitally important and often a matter of chance the orientation where the space we are going to photograph is located. Paying attention to whether the sun lays in front of or behind the camera is going to affect our way of photographing and the results obtained in the final image. I stress in what to do with our raw files, since back to the studio and with this type of images, the potential of developing and aesthetic applications of light are huge. To process some photos as smart object in multi-exposure. To just the white balance in the event the client does not like very “greyish” stuff. To correct trapezium or concave / convex lines and deformations. Adjusting of the lights and shadows is extremely simple as is mention along this post. Get the photo ready for other retouching and editing in Photoshop. In photography as usual the best advice is to shoot after shoot, to try after try. It is our eye and the experience what will give us the understanding of light and how we want to use it at every moment for a certain purpose. Many times in real estate photography the schedule and assignment are imposed by the client so we must know how to work and make the most of the light at nearly any time of the day. 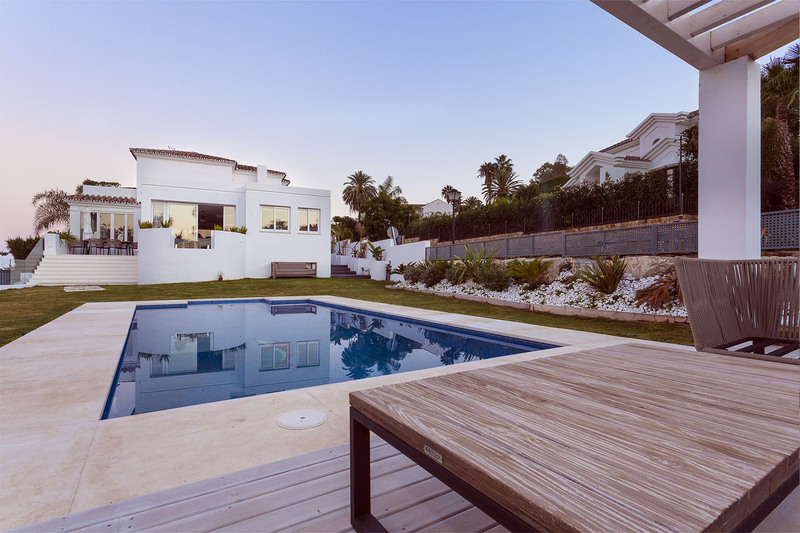 The blue hour has helped me to achieve a huge depth of field with a very pleasant and saturated light by showcasing the scene and architectural elements of photography: facade, pool, gardens, furniture, views and last but not least: a very happy client with the outcome.